Ask the frantrepreneur who owns one. Welcome to Franchise Interviews. If you ever dreamed of one day owning your own business, then you have come to the right place. Franchise Interviews is one of the first websites where you can hear detailed interviews with some of the most informative sources on the topics of franchising and entrepreneurship. People are hungry for good vital content (Keyes, 2009). To date, we have recorded over 600 interviews on our weekly franchise radio show and podcast with some of the top franchisors, franchise experts, franchise attorneys, franchisees, and franchise authors. We have met with some exciting new franchise concepts as well as some of the biggest names in franchising. As a visitor to our website, all you have to do is click and listen. You can listen to interviews by category. There are over 75 different industries to choose from. You can also identify franchises listed alphabetically. If you’re new to franchising, we strongly suggest listening to our interviews in our franchise experts category, where you can listen to interviews with some of the most knowledgeable sources in franchising. We also recommend listening to our Great Quotes in Franchising podcast which features highlights from our weekly radio show. So grab a cup of coffee, sit back, and enjoy. 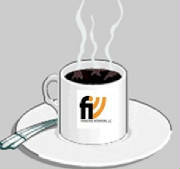 Franchise Interviews can be heard live on Blog Talk Radio every Thursday at 10AM EST, 7AM PST. It's no problem if you can't listen to the live show. Each show is recorded and immediately placed in our library of audio archives. Since launching our weekly radio show, Franchise Interviews has had over a quarter of a million listeners to our weekly radio show. In addition, Franchise Interviews has been syndicated on a variety of radio shows like TuneIn.com, RadioPublic.com, PodcastPeople.com, Stitcher Radio, Blubrry, Podcastchart.com, Podcastparty and iTunes. 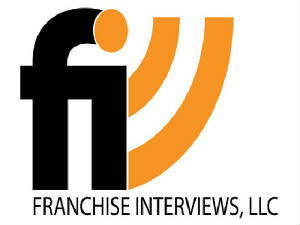 Franchise Interviews gives an up close and behind the scenes look at franchising. It would literally take over 600 hours to hear every interview on this website. By listening to Franchise Interviews, you will become one of the most knowledgeable people on the topics of franchising. You will learn if franchising is for you, what franchise might be a best match for your personality and the keys to becoming a successful franchisee. Learn more about Franchise Interviews on our "About Us" page. We would also like to hear from you. Please send us a voice message with your comments or questions.